According to reports, the Rashtriya Swayamsevak Sangh (RSS) is likely to invite Rahul to a lecture series - Future of Bharat: An RSS perspective - to be held from September 17 to 19 at Vigyan Bhawan in New Delhi. 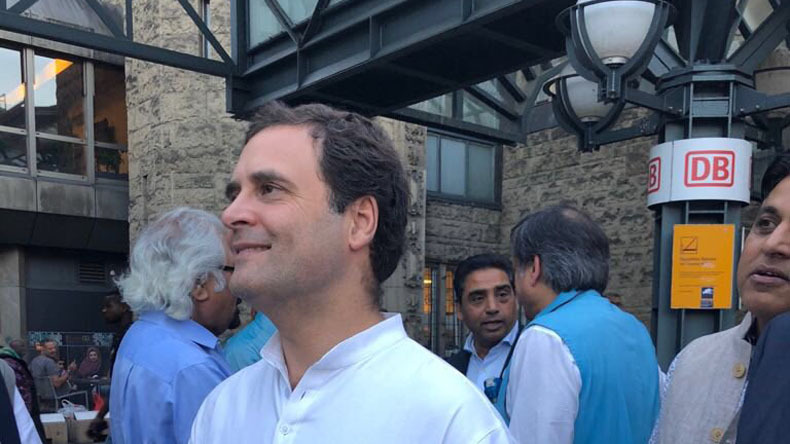 Congress president Rahul Gandhi is unlikely to accept the Rashtriya Swayamsevak Sangh (RSS) program invitation as the senior Congress leaders in core group meeting have advised him to do so, ANI reported. According to reports, the Rashtriya Swayamsevak Sangh (RSS) is likely to invite Rahul to a lecture series – Future of Bharat: An RSS perspective – to be held from September 17 to 19 at Vigyan Bhawan in New Delhi. Apart from the Congress leader, CPM general secretary Sitaram Yechury and PM Modi and senior BJP leaders are likely to attend the event which will be addressed by RSS chief Mohan Bhagwat himself, said Arun Kumar, an RSS leader. Last week, the Congress president had compared the RSS with Sunni Islamist organisation Muslim Brotherhood, saying the Rashtriya Swayamsevak Sangh sought to “capture” every institution of the country. In an interview to The Hindu, senior Congress leader Mallikarjun Kharge on Wednesday said there was no question of Rahul Gandhi accepting an invite from the RSS to attend Sangh’s three-day lecture series in September in the national capital. “The Sangh is like a poison and I will personally request Mr Gandhi to not try and taste this poison,” he said. In June, the Congress was extremely upset when former president Pranab Mukherjee, a veteran leader of the party, attended an event at the RSS headquarters in Nagpur and addressed workers.